Hi, everyone! Carisa with you here today and I am sharing how to watercolor your stamped images with Derwent Inktense Pencils. I love these pencils for a more controlled watercolor look and I have a video sharing how I do that below. 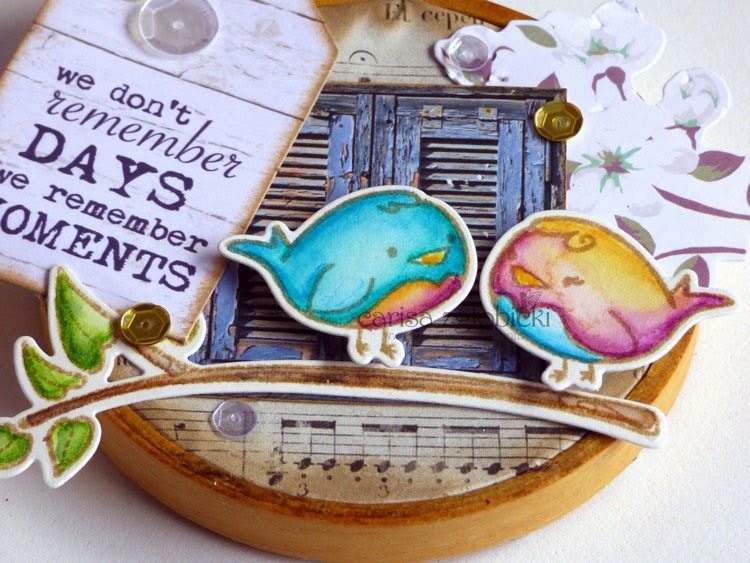 I am using these adorable new stamps from The Greeting Farm - they are available today and this set is called Tweety Pie. I think these birds are so cute and just so much fun to color no matter what medium you are using. There is also a matching die set available to go with this stamp set that makes fussy cutting so much easier and I love the open steel cut dies that make lining up your stamped images after you've stamped and colored them so easy to get that perfect cut! I have been a little bit obsessed with creating wall art using embroidery hoops! I picked up these tiny ones to create Christmas ornaments and I think I will still use this as one even though it's not necessarily Christmas Themed. These are TINY - 3"x3". 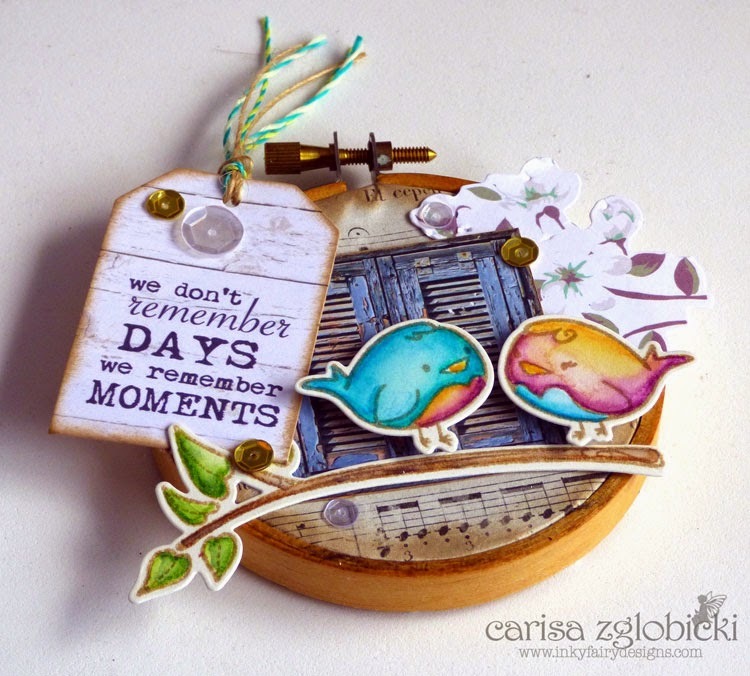 I thought it would be a fun size to create with these stamps and I also share how I did that in the video. Here is a close up of the coloring. Like I mentioned, I love the controlled watercolor look I can get with the Derwent Inktense Pencils. They layer beautifully because with these particular pencils, once the water you lay down is dry, these become permanent unlike traditional watercolor which can be reactivated by adding more water. That's how I was able to get such beautiful blending between the purple and the yellow without it turning to a murky color. Thanks so much for stopping by today! If you liked my project and video today, please click on the button below to subscribe to my blog so you don't miss a post! Carisa, I love, love, love this! It turned out absolutely beautiful and so unique. All the different elements together make it pop! Your coloring is gorgeous as always! This is amazing and so creative!